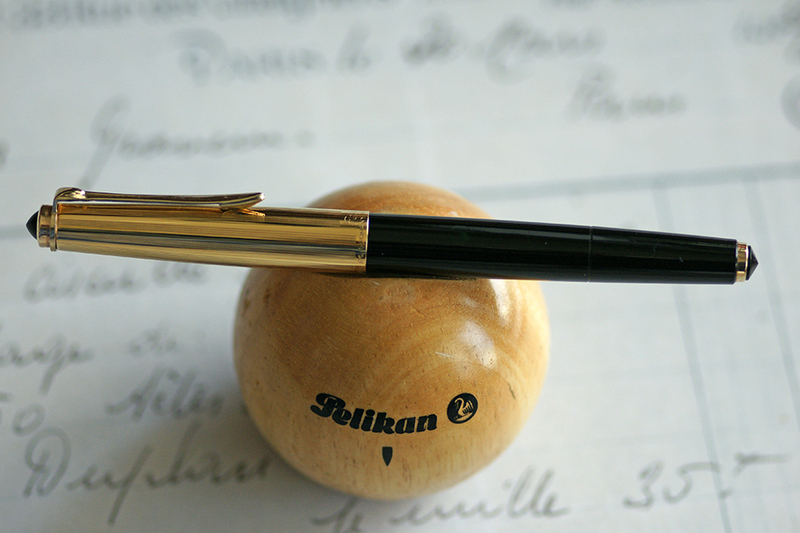 Pelikan has enjoyed a long and storied history of pen production. For this post, I’d like to focus on what may well be characterized as a bit of an oddity in the Pelikan line-up. The P1 was introduced in September of 1958 and enjoyed only a short production run ending sometime in 1963, presumably due to poor sales. The ‘P’ designation stands out as unusual here because this more commonly denotes a patronen-füller or cartridge pen but the P1 is in fact a piston filled fountain pen. This model was available as both Silvexa (P1S) and Rolled Gold (P1RG) variants. It came at a time when hooded nibs were en vogue and seemed to serve as Pelikan’s answer to the phenomenon. That said, Pelikan’s foray came much later than most other companies since pens like Parker’s 51 & 61, Aurora’s 88, Lamy’s 27, and Waterman’s C/F had already been on the market for some time. Until the introduction of the P1, Pelikan had been producing pens like the venerable 140 and 400, making the P1 a significant departure in design. Be that as it may, many people have shown much affection for the P1 and I felt a bit of a historical overview and review were in order as the P1 slowly creeps up on its diamond jubilee.